Please come to see us in the picturesque village of Hambledon for a free taster of our fine English wines. The sun is due to shine down on us all afternoon. Please visit our stall at Lurgashall Village Fete 2nd June on the beautiful village green to discover our still and sparkling wines created 5 minutes away! On 2nd July we are pleased to be promoting amognst the best local producers at the food and craft fair. Providing an alternative for the wine drinkers! Come and try a glass of locally grown and produced still and/or sparkling wine. We will also be a part of the Cranleigh Lions English Wine Fair - come along and try our full range of wines and also have a change to win a vineyard tour for ten people here at Blackdown Ridge Estate! 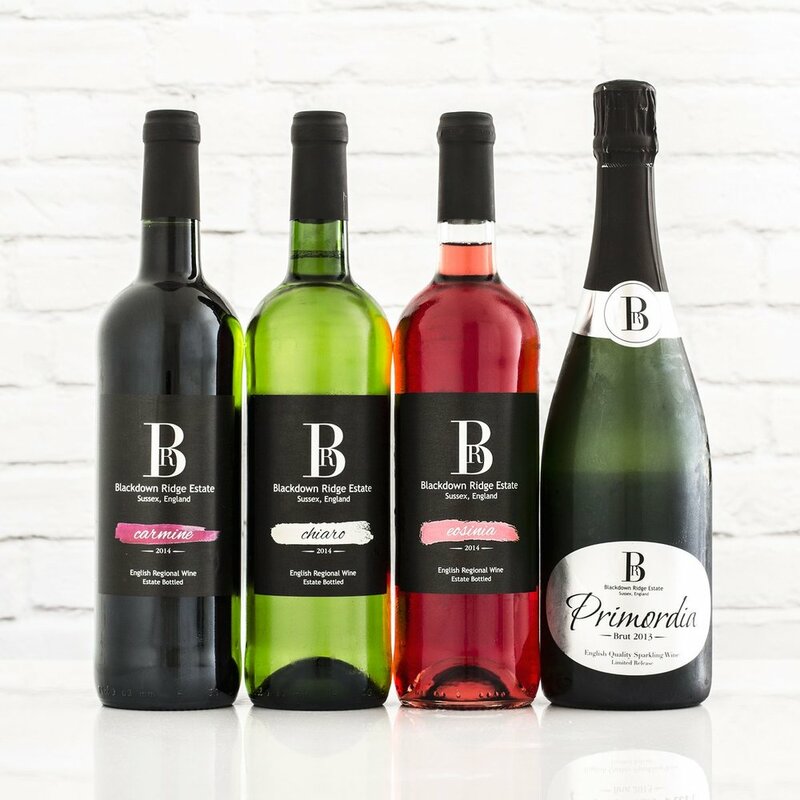 Come and try Blackdown Ridge still and sparkling wines in the beautiful surroundings of Guildford Cathedral, GU2 7UP this Friday 12th May or Saturday 13th May. They will be live music, entertainment, concessions, food, money off wine vouchers and more! Blackdown Ridge were proud to be a part of an international trade event in London this week hosted by A Glass of Bubbly at Le Meridien Hotel, Piccadilly, London. We received high praise and sat very comfortably alongside champagnes and sparkling wines from around the world - we were unofficially voted second best in show which we were very pleased with! We are delighted to be selling our range of newly branded wines by the glass and by the bottle. We look forward to hearing what you think! 29th August 2016 - Surrey Hills Festival, Coverwood Lakes, GU6 7NT. Please visit us at this beautiful venue to try a glass of cool and refreshing sparkling wine. You can buy our wines at Oliver's Beer's and Wines stand at this vibrant event. It's English Wine Week! Join us at The Haslemere Cellar to kick-start the week and for an exclusive sampling of our English Still Wines. Join us at The Grayshott Market on the 3rd Saturday of every month; featuring an array of tasty treats from all over the world, where better to sample delicious wines from your doorstep! An exploration of Surrey Wines in aid of the Guildford Cathedral ‘Make Your Mark’ fundraising campaign. Blackdown Ridge will be showing and tasting their 2013 wines at this event alongside a very few other vineyards from the area, including world-famous Denbies. Wines will be available to purchase on the evening. The tasting evening will take place in the Living Planet Centre in Woking, international headquarters of the World Wildlife Fund. The Make Your Mark campaign aims to raise at least £7m to maintain Guildford Cathedral at the heart of county life.